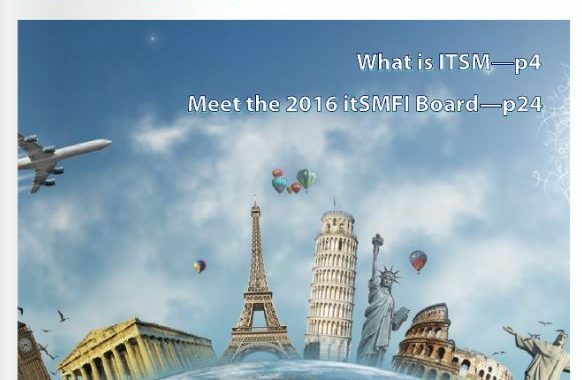 The other day on Twitter I posted that the first issue of “Focus Forum” was published, which is a magazine by itSMF International, now a few words about its contents. On 27 pages about IT Service Management, I found one of the articles very interesting called ‘What is ITSM’, it explains in a very easy way all main concepts of ITSM, differences between ITSM and ITIL, and even going deeper to compare a ‘standard’ ITSM terminology with the one used by Gartner. It also provides many useful sources, for those who would like to read more. The other articles are rather short, not especially interesting, maybe one more is worth reading, the one written by Claire Agutter about Devops. I really liked the first issue and waiting for more. Provide your e-mail address to subscribe to this blog and be informed about new posts.